A pastor friend of mine is leading a Bible study about forgiveness. He’s asking people to consider what forgiveness is and what it is not. For instance, he makes the point that forgiveness is not approving, excusing, denying, or justifying what a person has done. Nor does forgiving mean forgetting. Forgetting could very well cause a person to fall back into the same, unhealthy situation that required forgiveness in the first place. On the other hand, he notes that one forgives, even while conscious of the transgression they have suffered. Forgiveness, he says, means keeping no record of wrongs. And, it means pardoning the other; that is, refusing to exact punishment. He cites many passages of scripture to show the legitimacy of his questions. 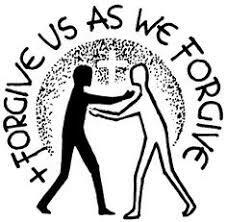 He asks, Does God forgive us if we don’t forgive others? Remember, after teaching the disciples the Lord’s Prayer, Jesus says, “For if you forgive men when they sin against you, your heavenly Father will also forgive you. But if you do not forgive men their sins, your Father will not forgive your sins” (Matthew 6:14-15). My friend also asks questions about repentance and how many times we must forgive someone. All in all, his is a very well designed and provocative Bible study for which I commend him for helping people to consider the many dimensions and nuances of the concept of forgiveness. My friend’s study caused me to consider how I understand Jesus’ teachings and instructions on forgiveness. He’s the kind of guy who likes to cause people to do a little introspection. In Luke 17: 3 Jesus says, “Take heed to yourselves: If thy brother trespass against thee, rebuke him; and if he repent, forgive him.” The words, “Take heed to yourselves” are the starting point for my understanding of forgiveness. In this verse, Jesus seems to be giving us step by step instructions in how to respond when we’ve been trespassed against. But, I don’t think he means for the focus to be on the person doing the trespassing. I think the focus is meant to be on the one harmed. Hear me out. Jesus says, “Take heed to yourselves” or, in other words, “Pay attention to yourselves.” First and foremost, Jesus is telling us that, when we are hurt or harmed by another, we must be very vigilant about our own spiritual state. I think he is telling us to check ourselves before we turn our attention to the other person because, if we don’t proceed with our own spiritual state under Christ’s control, our response can be destructive both to ourselves and to the other person and to our relationship with Jesus. My feelings of hurt and anger and my impetuousness can bring more harm than healing. I believe that Jesus, to the measure of faith he gives me, wants me to be ready to forgive whenever someone sins, be it against me or against God. But first, I believe he wants me to check myself and, in so doing, to recognize in the other person’s sin, my own sinfulness. And then, to respond with compassion and empathy and mercy as God, in His amazing grace, is ever merciful to me. Regards forgiveness, I think Jesus is always calling me to take care of the beam in my own eye first, and judge and respond from that perspective. Only then can I truly be forgiving, and only then can I truly be repentant.